Since the beginning of 2018, 547 migrants are estimated to have died in the Western Mediterranean Sea, more than double the 224 documented deaths in 2017, a new report by the International Organization for Migration’s Missing Migrants Project found. These figures are based on minimum estimates and could likely be higher. 113 of these deaths took place in late August and early September alone when two boats carrying 52 and 61 migrants, respectively, disappeared in the Alboran Sea – the westernmost part of the Mediterranean between the Iberian Peninsula and Northern Africa. In addition to these known disappearances in the Western Mediterranean, there are also “strong indications” that many others remain unaccounted for, exemplified by the remains of over 60 people washing up on beaches in Spain, Morocco and Algeria over past year that could not be linked to any known shipwreck. Because Spanish and Moroccan authorities have failed to released comprehensive data on border deaths, the Missing Migrant Project data comes from various sources including coast guards, non-governmental organizations and media reports. These shotty records represent another barrier for families of missing migrants since requests to NGO’s for information about their loved ones lost in the Alboran Sea often cannot be confirmed. Despite the recent uptick in numbers, migrant deaths and disappearances in the waters between North Africa and Spain are not new. According to the Andalusian Association for Human Rights, over 6,000 people have died en route in these waters since 1997. The Missing Migrants Project estimates 1,783 people have gone missing in the Mediterranean Sea as a whole. As refugee conditions continue to deteriorate in North African countries, many refugees have turned to journeys across the Mediterranean sea out of desperation, often utilizing boats unfit for travel across international waters. 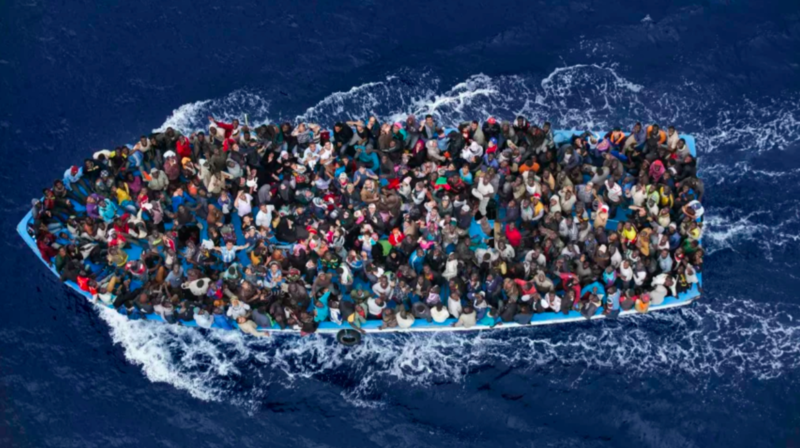 “The increase in recorded deaths in 2018 is linked to the increase in attempted sea crossings from North Africa to Spain compared with the past five years, as well as the number of fatalities in each shipwreck,” Laczko said.